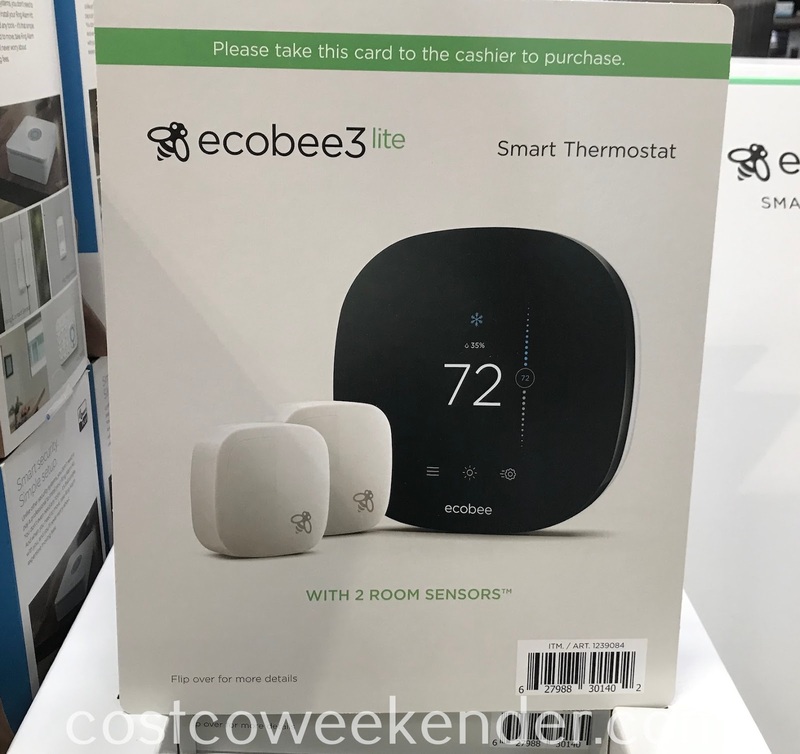 If you're interested in turning your home into a smart home of the 21st century, then you can start with the ecobee3 lite smart thermostat. 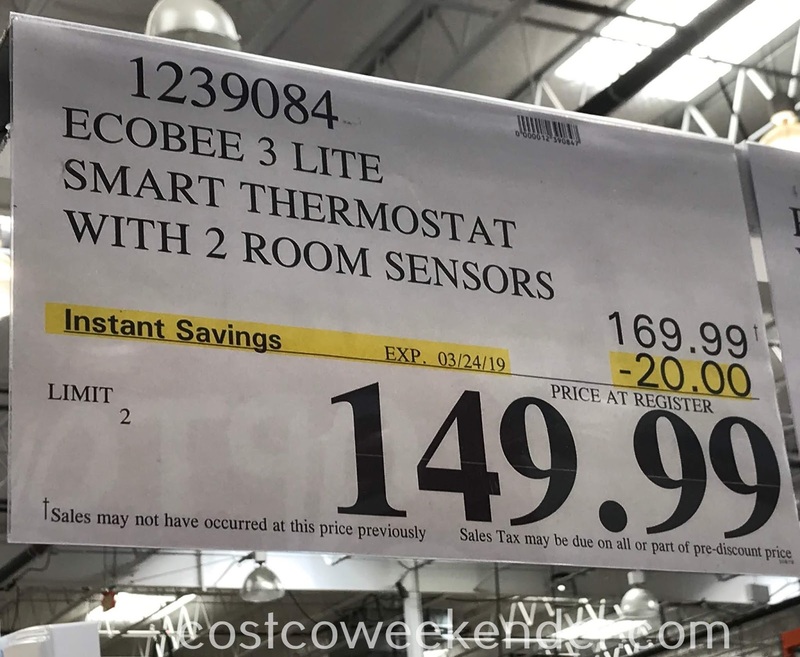 The ecobee3 lite smart thermostat allows you to easily maintain just the right temperature for your home using your mobile device. That way your home doesn't feel like a furnace or a freezer. That way you and your family feel comfortable and can save money in the cost of energy instead of having to fiddle around with conventional thermostats. Because it comes with 2 room sensors, you can help eliminate potential hot or cold spots in your home. You can get additional room sensors for a more accurate reading. Saves you money by keeping energy use low when you're not home. 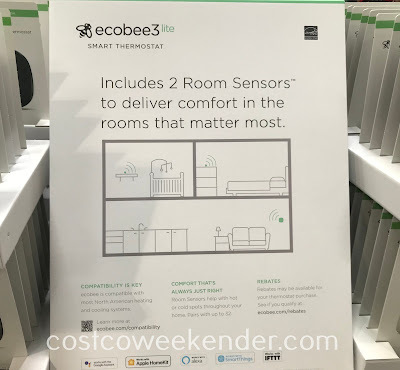 Control your ecobee from anywhere with your iOS or Android device. Easy to install using our step-by-step guide. 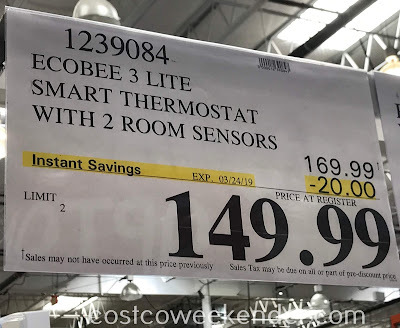 Rebates may be available for your thermostat purchase in your area. 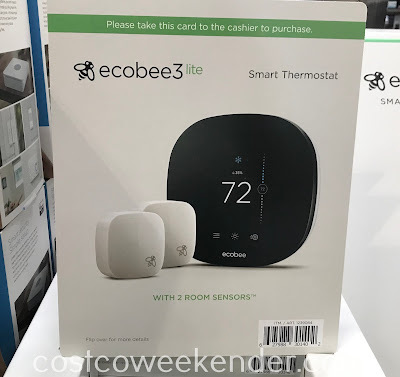 See if you qualify at ecobee.com/rebates. ecobee is compatible with most North American heating and cooling systems. Learn more at ecobee.com/compatibility. 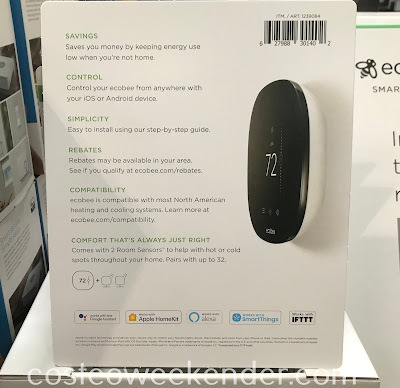 Comes with 2 Room Sensors to help with hot or cold spots throughout your home. Pairs with up to 32.